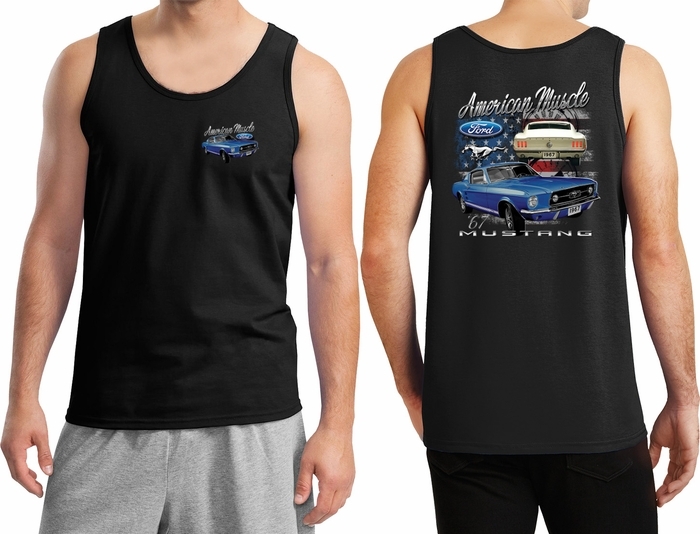 A mens tanktop featuring a 1967 Ford Mustang on the front and back. 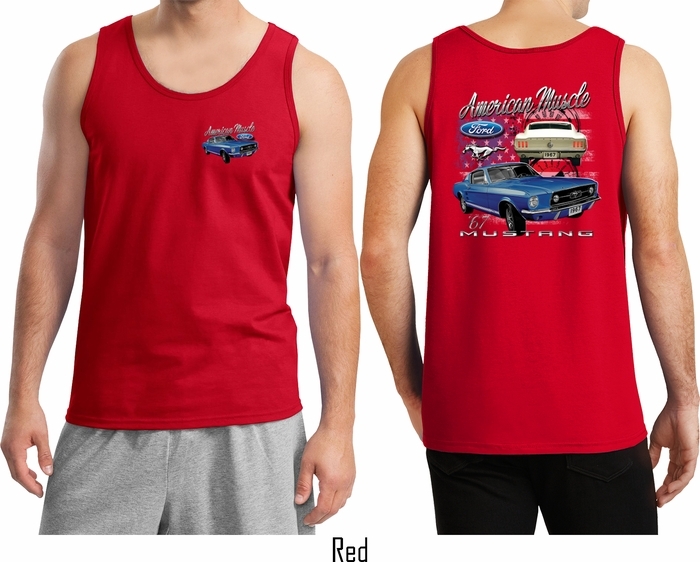 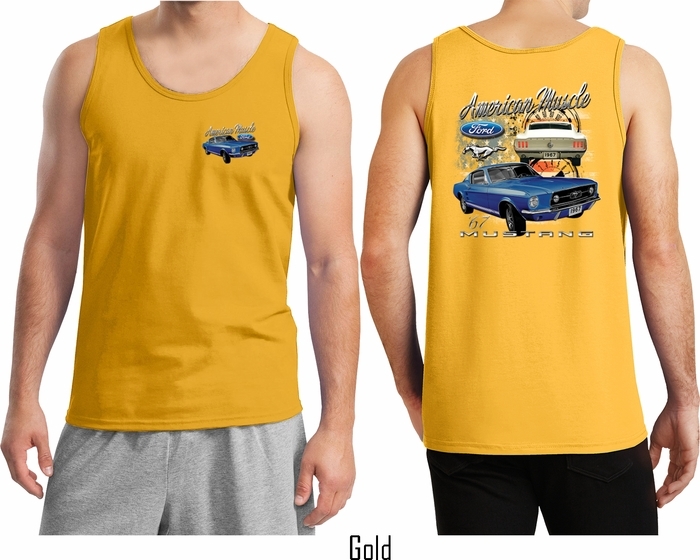 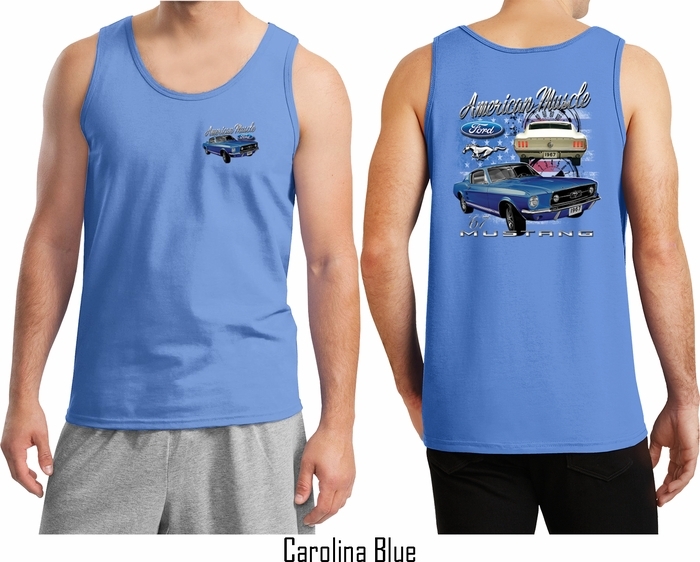 This cool tank top makes an awesome gift for all who love Ford Muscle Cars! 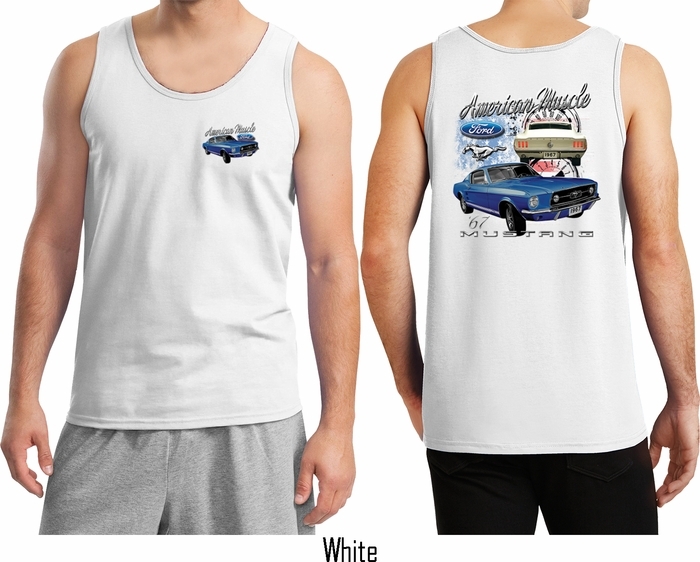 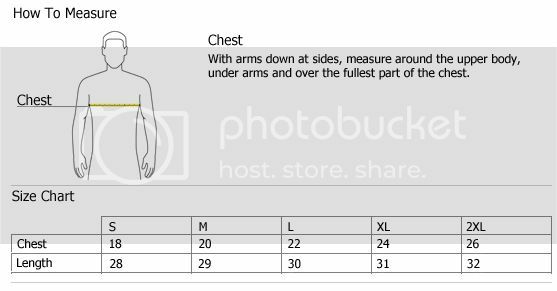 Our mens tank top is made of 100% cotton. Available in sizes Small through 2XL. Machine wash cold with like colors; dry low heat.